We have smoothies for breakfast a few times a week, and the organic greens powders we like to mix in cost in the range of $15-20 a jar. Last week, staring sadly at yet another bunch of wilting kale in our fridge, I had an idea: Dehydrate it and make it into greens powder! 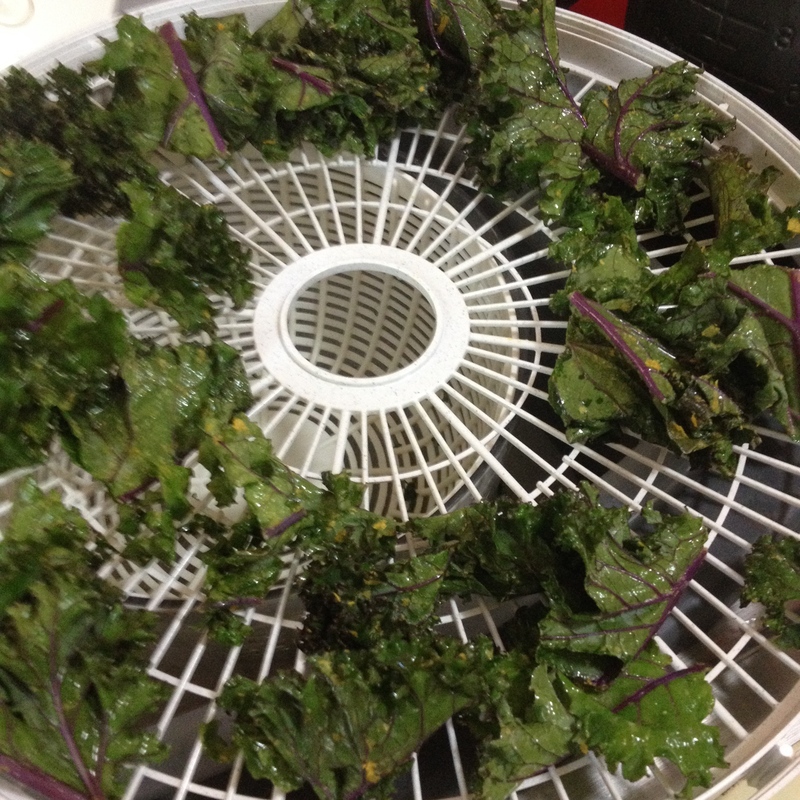 That bunch of kale spent a few hours on three racks in my food dehydrator, after which I pulsed it into a fine powder in the food processor. It really couldn’t have been any easier. A closer reading of the ingredients on the expensive stuff revealed a long list of foods I could dehydrate and grind to avoid food waste and save on pricy supplements: beets, spinach, carrots, broccoli, ginger, tomatoes, lemon peel, pineapple, parsley, mint… basically any fruit, vegetable, or rhizome that we enjoy eating (but didn’t get around to) can be dried and added to our little jar of smoothie powder. I can’t believe I’m actually looking forward to next week’s fridge clean out day!